Another month, another post. 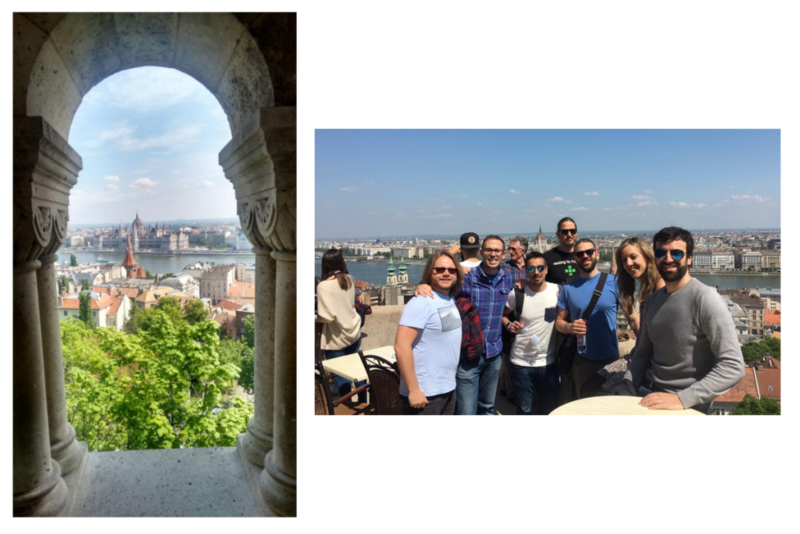 The team has been working hard but between meetings, coding, and learning sessions there has also been time for meetups, traveling, and joking around—especially for joking around. Things don’t get boring around here often, as there’s always someone ready to have a laugh and take the rest of the team along for the ride. Once the prank wheels are in motion, there’s no way to stop us. The first thing you have to learn when working at ShuttleCloud is not to forget to lock your laptop. You leave your Gmail session open at any terminal in the office at your own peril—you’ve been warned. You may find that you’ve declared your love for a sport you actually hate in a Slack channel, sent your gratitude to another team member for who-knows-what via email, or even announced that you are leaving. It never gets boring. 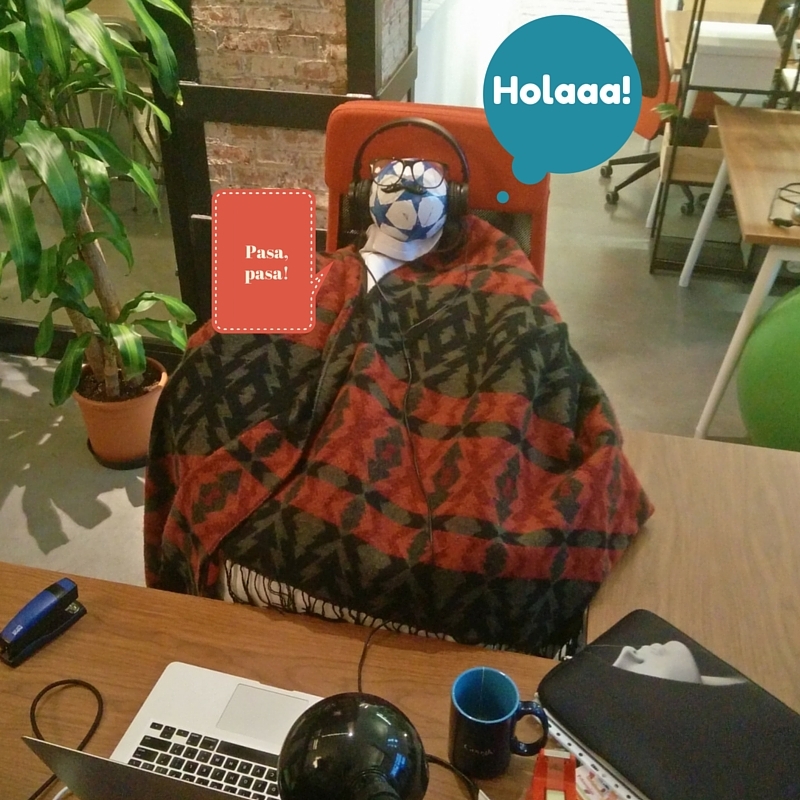 If the team is feeling creative, you may arrive at the office in the morning and find a dummy—well, I am not sure what to call the thing I found on my chair. Ok, picture this: 9 a.m., I walk into the office and the first thing I see is this on my chair. Outcome: big laugh. Look at it, the resemblance is uncanny, to be honest. Good job Nacho! And finally, if your soccer team loses do not expect compassion from us. When Ángel’s team, Chelsea F.C., lost against the PSG in the Champions League, we all thought that the best way to welcome him the morning after was by showing the PSG emblem on the TV screen at the front door and playing the Marseillaise on a loop, at full blast, for him to enjoy. Once we were all set, we made sure we had front-row seats and waited impatiently for him to arrive. Ángel claims he didn’t care; his face was priceless regardless. Yes, we are THIS childish sometimes, but it keeps things fun around here, and all the jokes are kept in good taste. 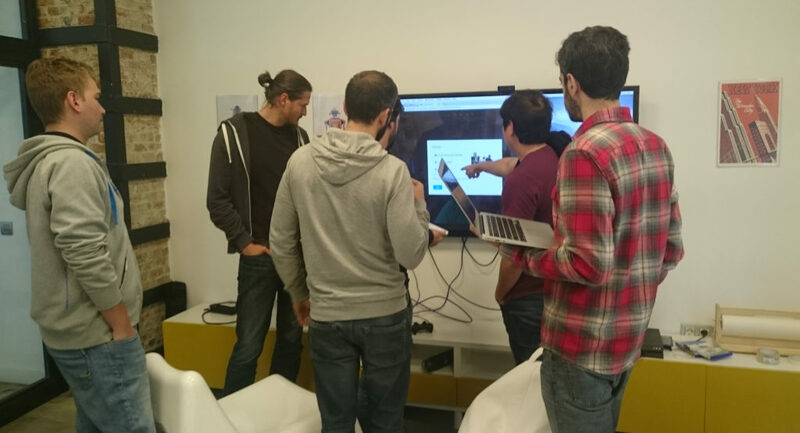 We don’t like to limit our joking around to the office in Madrid; we take it everywhere we go, including Budapest. 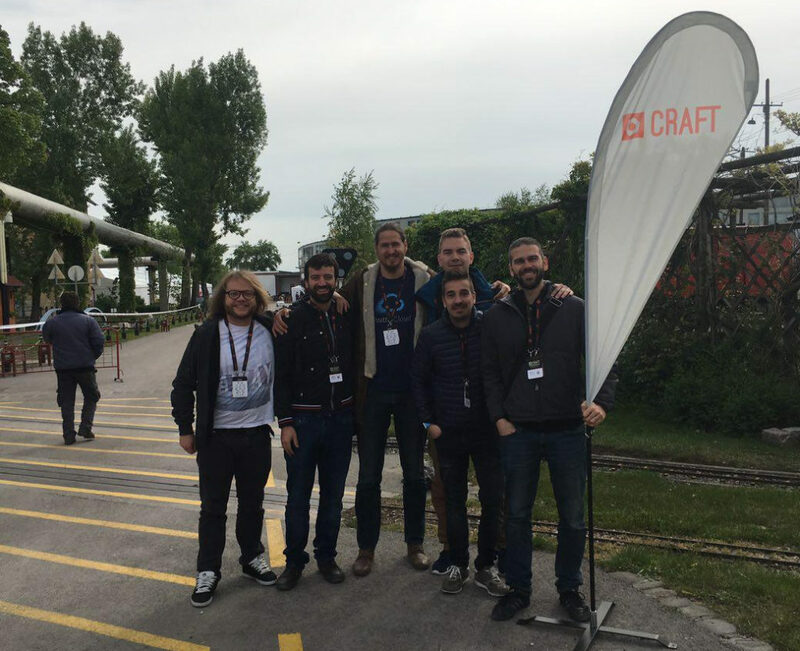 The engineering team attended the CraftConf conference there at the end of April. I’ve been told there were loads of interesting talks. 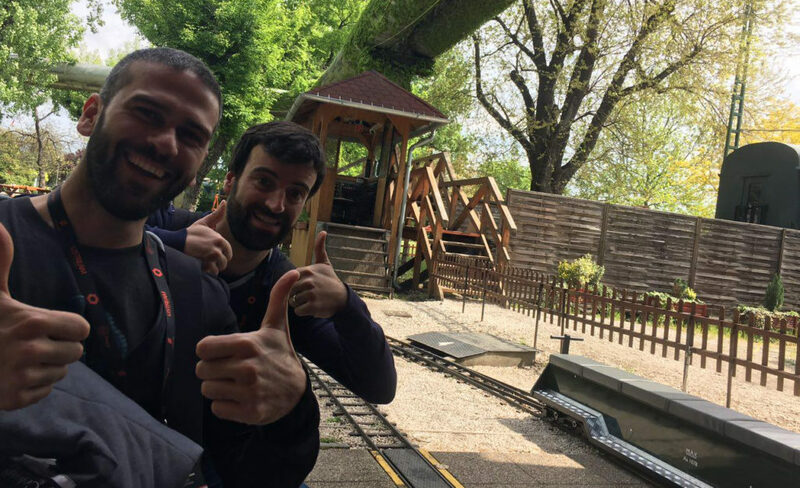 However, they don’t fool me—I know the highlight of the conference for them was the rides they had at the train museum where the conference was held. Buda and Pest are very different but both beautiful in their own right. The Danube is not blue, despite what Strauss wrote. Thermal baths are the best cure for hangovers. And if someone tries to sell you carrots (yes the vegetable!) while you’re out at night, don’t act surprised. Apparently it is a thing. I know, I know, how could you manage without this useful guide in your life? Lonely Planet, watch out! With all the effort devoted to pranks, the buzz of meetups, and the excitement of visiting different countries, we sometimes need just to chill out and enjoy a quiet night in. After some back-and-forth, we managed to decide on a silly blockbuster movie to watch for our first movie night. No highbrow cinema around here this time but we had a blast. 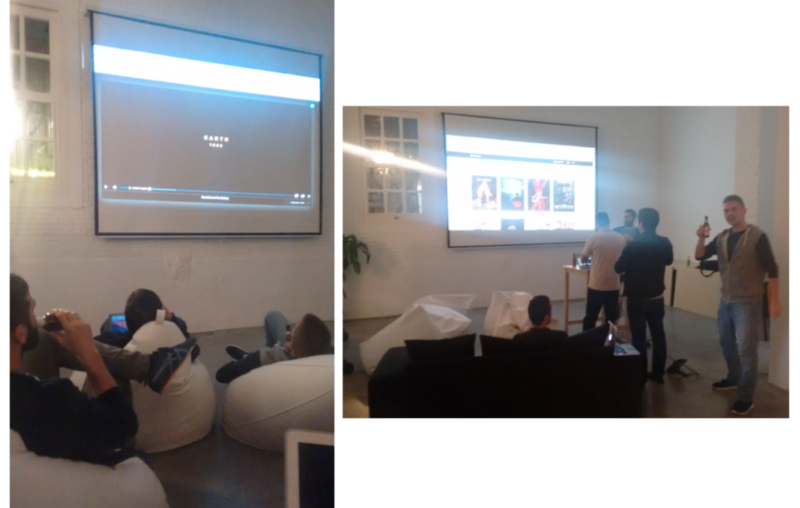 Mexican food for dinner, popcorn, beers, and we were all set for a night of entertainment. Now that Spring has sprung and the weather calls for socialising outside, we’re planning our first BBQ of the season. Bring on the evenings al fresco. Later on in June, we will go kayaking in “Las Hoces del Rio Duratón,” and we’re really looking forward to it! And, last but not least, we’ve got a batch of t-shirts with the new engineering team logo. I know all the mad T-shirt collectors out there will appreciate this. The team is really pleased with the result. And… wait for it… wait for it… we’ve also got some t-shirts that I will actually wear this summer. 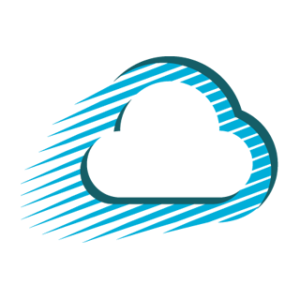 Thanks, ShuttleCloud! You may not be as thrilled as I am about this, but hey, let me enjoy it. I’m trying to convince the guys at the office that they can also wear them—hahaha I promise to post a photo if that ever happens. Next post I will talk about our office space. Hey—yes you, the one yawning just thinking about it—you have my word, it will be an easy read and you may even enjoy it. And before saying goodbye, I leave you with a riddle: how many engineers does it take to get the sound in a Hangouts session to work? Hahahaha sorry guys, too tempting not to post it here. 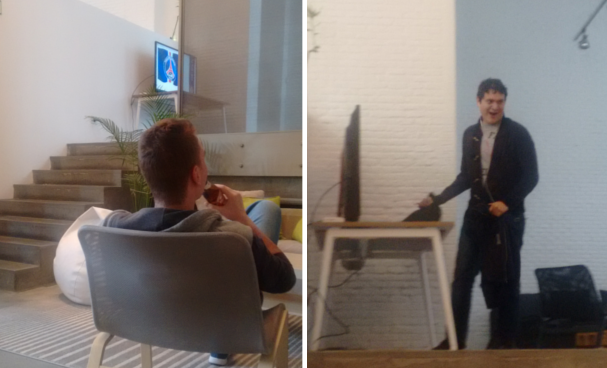 What it’s like to work at ShuttleCloud as an Engineer? 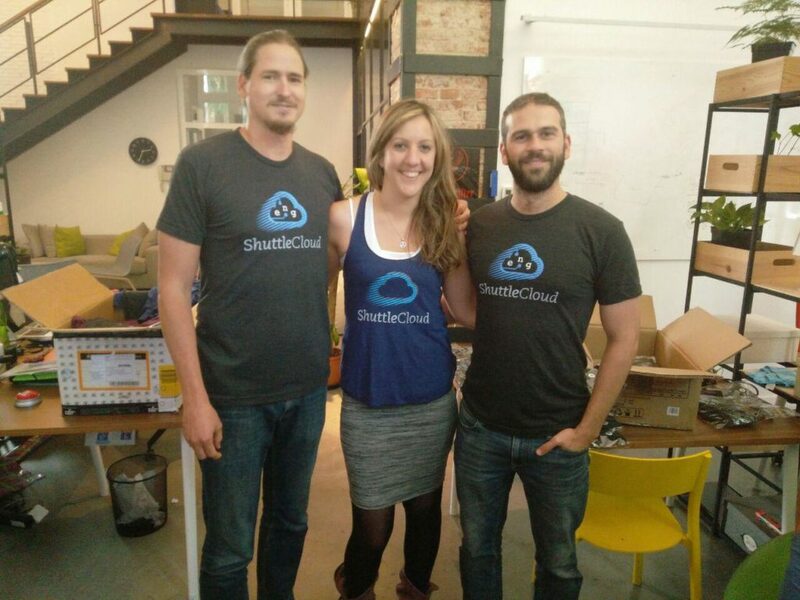 ← What it’s like to work at ShuttleCloud as an Engineer?